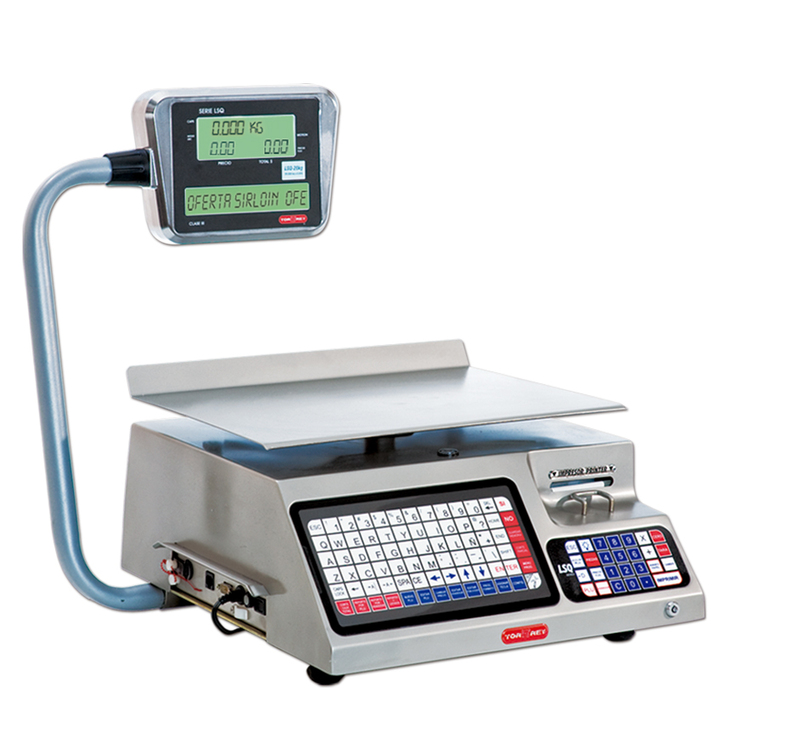 The LSQ-40L offers a complete package for your business with robust construction, easy programming and substantial functionality to meet the label printing and weighing needs of your butcher shop, market or grocery store. The LSQ-40L features stainless steel construction, customized printing formats and a programmable scrolling promotional display. Built to last, our scale features an AC adapter and user-friendly keyboard for easy training of in-store personnel. The LSQ-40L has a capacity of 40 lbs x .01 lbs - this gives the scale exceptional precision to maximize your profits. Featuring 300 PLU memories, this scale offers 72 direct access memory keys and the ability to designate up to 20 programmed sellers. The easy-to-change print cartridge expedites customer service and reduces downtime, while programming security is assured with management key control. 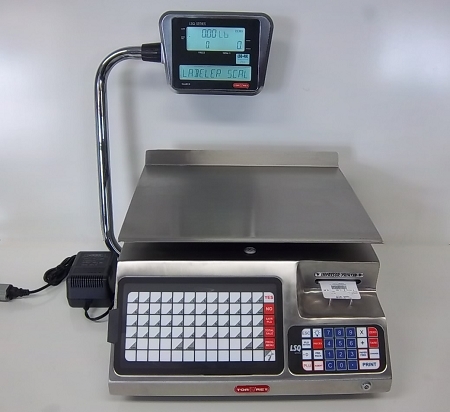 Included software ( Compatible with Windows 7 ) allows the scale to be easily programmed from a computer and all information downloaded via a local network to one or all LSQ-40L scales in your store. The LSQ-40L also features ethernet capabilities, allowing for an unlimited number of LSQ scales functioning on a local network. Sales can be controlled for each scale or by a group of scales, and numerous sales reports and lists can be easily printed from the scale. With a footprint of 17.6" x 19.5", this sturdy label printing scale also includes a large, easy-to-see turreted display. Whether you’re weighing apples in your produce stand or pricing ground sirloin in your meat department, the LSQ-40L is an ideal tool for your business. So if you need a reliable and substantial label printing scale at a very affordable price, choose the LSQ-40L from Tor rey.